If your lifestyle thinking is limited to following the latest trends, you're wrong! Because you also have to think about the future, which is certainly unpredictable. 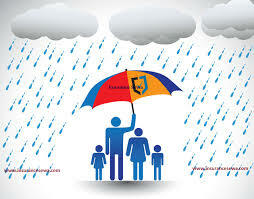 Have you ever imagined that insurance can be an asset to maintain a lifestyle in the long term? Insurance, heard the term alone some people may immediately shut down and think the person who was talked to is an insurance agent. Some people do seem "allergic" to talking about insurance. Let alone have the need for insurance, the definition of insurance is not fully understood. Insurance awareness in Indonesian society is still relatively low. According to data from AAJI (Association of Indonesian Life Insurance) , the penetration of the insurance market in Indonesia in 2010 is about 4%. Among ASEAN countries, insurance penetration in Indonesia is very low. Compare for example with Singapore has reached about 6%. The question is, why the awareness of insured Indonesian people is very low, but there are many benefits that can be obtained from insurance? Perception is the root of every thought process. Concerning the insurance problem, the perception that develops in the community is generally related to the hard-to-understand product, complicated claims process or negative experience with an insurance agent because it is too aggressive. It makes people more afraid of insurance. Moreover, the benefits can not be immediately felt by the policyholder, but by the heirs. Yet if glimpsed further, today the term insurance is no longer a foreign thing. Ironically, the policyholders often do not understand in detail the products that have been purchased. Based on experience, often policyholders still do not know the detail coverage they have, sum insured, even some also do not know how big the premium and do not tell the heirs. In essence, many have already purchased an insurance policy, but do not know what is actually bought. If you have this, the loss is the holder of the polo itself. Have paid regular premiums every month, but due to ignorance and carelessness, can not take advantage of insurance with the maximum. Even if something happens to yourself, because of not informing the heirs about the policy, the heirs do not get the money (death benefit) a penny because the claim management was never done. It's not a question of whether the person is educated or not. The problem is whether the purchase of the policy occurs because of the need or feel compelled, uncomfortable by the agent who offered it, or already tired of being chased by the insurance agent? With still low penetration, the insurance market in Indonesia is huge. In the last 5 years, the public has shown tedensi to have insurance. Slowly but surely, having an insurance policy has become a part of the lifestyle and the more confident to design the future. This may be driven by changes in phenomena that have occurred in recent years. Now we know the term "sandwich generation" , to describe the condition of the generation that is squeezed in the middle. Nurturing children and families themselves and still have to finance the lives of parents. Automatically, the pinched generation must be more creative in managing finances so that every need remains fulfilled, without having to make lifestyles decline from the ordinary enjoyed. The next question, if something happens to the breadwinner then what will happen to the family left behind? We never know what will happen in the future. The short length of age is unpredictable. All that can be done is to prepare everything if the plan does not go as expected. Especially for the survival of the people who will be left behind. Anticipation, not pessimistic. Anyway, there's something more widespread about the insurance that's involved in it, namely "the asurasnsi is about keeping your lifestyle and enjoying your life." A mother of two who has recently lost her husband to cancer, is faced with the fact that the cost of treatment for months has to be paid off immediately. Given his enormous cost, he was forced to sell the house, drain the savings, and the debt remained unpaid. He kept trying to find a loan to and fro in order to pay the full cost of her husband's care. Not only lose the person he loves, he must also lose all material. If you have this, do not think to enjoy life, maintaining the standard of living as usual difficult. Similarly the matter of children's education. It is common knowledge that the cost of education continues to increase every year, even beyond the rate of inflation. Although it has made predictions, if not precisely prepared with a detailed calculation, when needed when the child enters the lecture level, for example, it could be insufficient cost. As a result, in addition to having to find additional work, life must also be more efficient in order to enter children into quality schools. Life does not always go according to expectations, desires and plans. The question is, when it happens, are you ready ?? ?